India’s national digital payment platforms are now headed to Singapore. 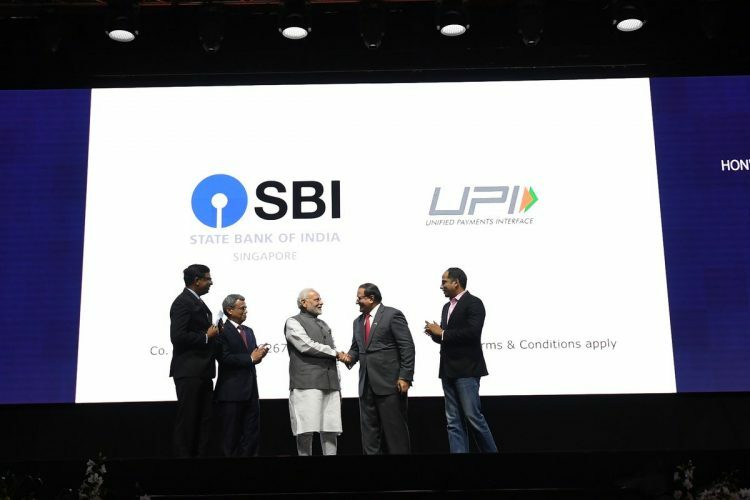 Prime Minister Narendra Modi has launched three of India’s mobile payment platforms namely RuPay, BHIM and UPI via SBI’s mobile apps at the ‘Business, Innovation, and Community Event’ in Singapore on Thursday. The launch of India’s fledgling payments solutions, including UPI, in Singapore is aimed at growing the country’s digital financial schemes on an international scale. To operate the RuPay digital payments system, India has partnered with Singapore’s 33-year old Network for Electronic Transfers (NETS) to make it feasible for its users to complete payments across Singapore. The platform will even allow them to make online purchases via the 2.8 million RuPay PoS terminals across e-commerce merchant platforms across India. This is a major step towards the internationalization of India’s digital payment platform. It will be most convenient for Indian blue-collar workers here to use the app for sending money home from their dormitories at work sites. The rupee remittance feature will be extended to all savings account holders in Singapore, with a limit of up to Rs 1 lakh. Just like UPI in India, they’ll also be assigned VPAs (virtual payment addresses) to speed up and simplify the transfer process. With a massive Indian settlement in the country, this is a much-needed feature and will surely come in handy for both Indian, as well as Singaporean users.